We interview Jenny Morris, top South African chef, author, restaurateur, radio- and TV presenter, caterer, culinary tour guide and so much more! Read on to find out more about the face behind Giggling Gourmet. I have a few but my first taste of Haloumi cheese when I was about 9 years old stands out. I saw a large ball jar filled with murky liquid and large white blobs floating in it in the kitchen of a Greek friend of mine, I passed it daily and it creeped me out when she said one day her Greek granny had the jar on the kitchen counter and was fishing out the cheese to fry. Once it was cooked she offered me some to taste, but all I could see was that awful looking murky liquid and couldn’t bring a piece to my mouth. That old girl never gave up and eventually forced me to try the smallest piece, oh my happy mouth, I think she regretted introducing me to the Halloumi, she had just added another mouth to feed at her table. I love Thailand, Singapore, Vietnam, China, Malaysia, I love the cultures, the traditions, the delicious cuisine, the sights and sounds and smells. What travel destination is on your bucket list? Mauritius, Reunion, Maputo and Dubai. Onions are used in almost every cuisine and they give so much depth to a dish. If you weren’t a chef, what would your ideal job be? I would love to work with animals and farm vegetables. Haaaaaaaa everything, and cheese, butter, capers, chillies and amasi. Complete the sentence: I never leave the house without my cellphone. We heard rumours about a new cookbook launching soon. Tell us more? It’s called Yumcious by Jenny Morris, it’s a beautiful book full of easy to make fresh recipes, with quotes and lots of stories and the delicious secrets from our catering company and kilo table at Yumcious our restaurant. Tell us a bit more about your time aboard the Oceania Marina – what did you love most about the experience? Well, I’m extremely excited to be travelling aboard the Oceania Marina with Cruises International, where I will be given the opportunity to share the culinary experience with the world and all who join me. 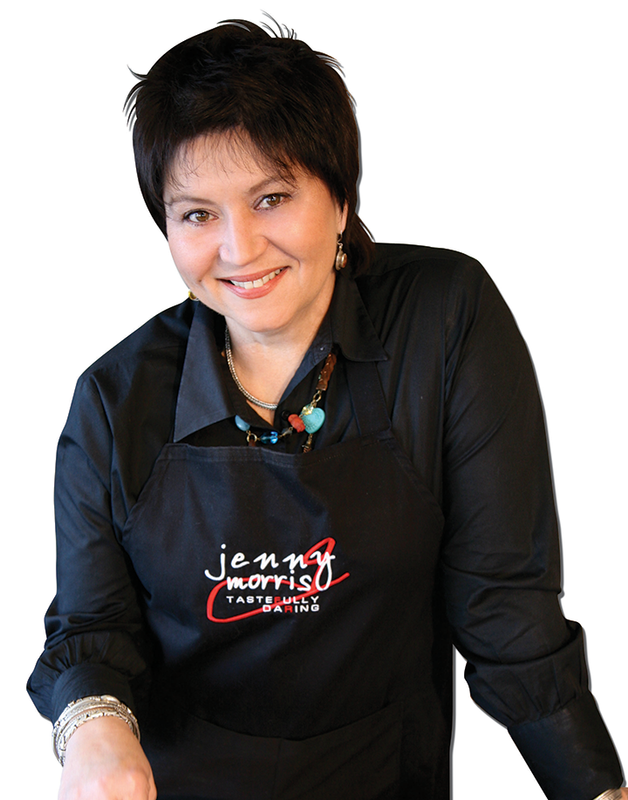 What’s next for Jenny Morris? It’s the launch of my restaurant and travelling with Cruises International on the Oceania Marina food cruise.